Kim Hollis: Inside Out, the latest release from Disney and Pixar, debuted with $90.4 million. That's the second-biggest opener for the studio ever behind Toy Story 3. How did the studio achieve such a stellar result? 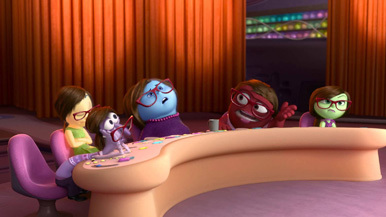 Matthew Huntley: I think it was Inside Out's universally recognizable premise, both for adults and kids, that made it such an easy sell at the box-office. Who among us hasn't wondered, from time to time, or perhaps daily, just what the heck goes on inside our heads? It's practically human nature, and Disney/Pixar took the liberty of providing one possible answer, which they also shaped into a bright, rich, energetic story that's also intelligent and emotional. Viewers were clearly excited about this one and it's obvious, based on the reviews, the filmmakers did it right. A $90 million opening is a stellar result, yes, but to me, it's also not a very surprising one. I think a lot of people have been waiting eagerly for Inside Out, and the fact that it made such a big impact is great, but it was also something I expected. What can we say, but Disney/Pixar just has a way of making movies that appeal to a lot of people, and I mean a lot of people, without cutting creative corners. They've done it yet again, and their track record is sort of remarkable.